A look at social factors contributing to exclusion and bullying of children with food allergies. A recent study published in Pediatrics reported that over 30% of children with food allergies say they have been bullied about their allergies. Previous studies have also found that having a food allergy puts a child at risk for bullying. I'd like to share my experience with raising two children with food allergies and examine why bullying is such a problem for this group. Food sharing is one of the most basic social constants in human culture. We use food as our social glue. When a group shares food, we are saying we are a family, a team, a tribe. Many cultural traditions and religious rituals involve the sharing of food. We use it both as an offering and as a way of increasing our status within the group. We use it as a way of connecting with one another.1 So what are the consequences when an individual cannot participate in these most basic of social interactions? Asking this question can help us understand the social stigma of food allergies. Now let's look at the same situation from the perspective of a child with food allergies. Whenever cupcakes were brought to class, my son was not able to eat one. Yes, we did provide him with some other treat, but the deeper message was that he could not share what the others were eating, and was not part of the group. Every event based on food sharing was a reminder of his separateness. It was also a reminder that the adults in charge did not think he was important enough to be included. A parent comes to the class bringing cupcakes. Each student is offered a cupcake and enjoys the sweet treat. The students' trust and liking for this parent is increased. The birthday student is a celebrity for a day, and when the other kids have their birthdays, they ask their parents to bring cupcakes. A parent brings cupcakes to class. My son is offered a cupcake, but he must say, “No thank you, I have food allergies.” He is allergic to egg, and these cupcakes almost certainly contain egg. This is the first moment where the food sharing ritual breaks down. The food allergic person is forced to refuse the offer of food. In many cultures, refusing an offer of food is considered rude. Even though he gives the reason (food allergies) this is often not accepted. People become defensive, and don't believe that the allergy is real or serious. They offer objections: Their friend's child is allergic to egg but can tolerate baked goods, so this cupcake is okay. A little bit won't hurt. They are pretty sure the item doesn't contain eggs, and so on. To them, his rejection of the food feels like a rejection of the person offering it. 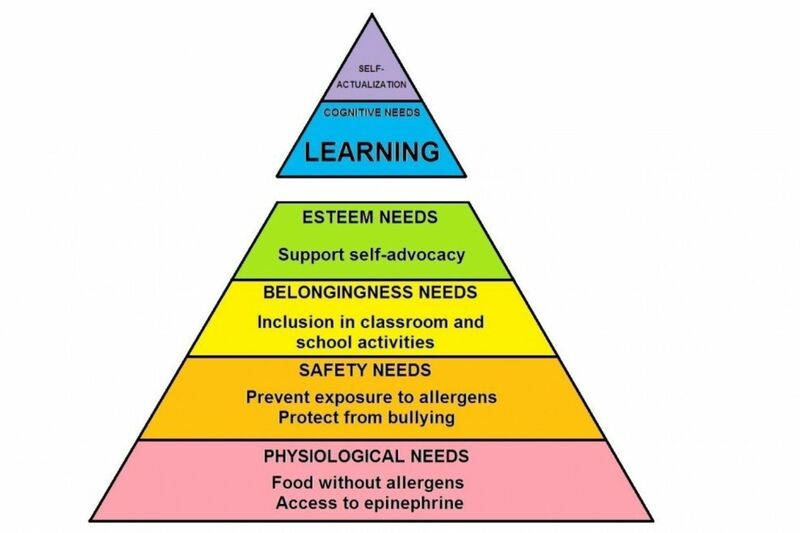 Even if the food allergic student's parents try to compensate by bringing safe food to share with the whole group, the inability to reciprocate by accepting food from others creates stigma. When the parent of a food allergic child overcompensates by bringing multiple offers of food to the group, that is often met with resentment from the other parents who feel they are not given equal opportunities to share. This is a no-win situation, and the resentment of the group is expressed as ostracism of the allergic child and his family. *He needs to get used to being left out because food allergies are a fact of his life. *Kids shouldn't feel entitled to special treatment; the world isn't going to change for them. *She's used to being left out; it doesn't bother her. *This child's parents are overprotective; this level of caution is unnecessary. *Other people with food allergies can eat this, so this should be good enough for her, too. The reality is that kids with food allergies get plenty of practice at being excluded. Far from feeling entitled to special treatment, they internalize the message that their food allergies are a burden to others. Children with food allergies do not take inclusion for granted. This is especially true for children with multiple food allergies, or who are highly sensitive to the allergens. They are at the greatest risk for stigmatization because the necessary precautions seem unusual to people. In addition, there are many people with food allergies who are not aware of best practices for food allergy management 3, and their casual approach to the risks involved is seen as more socially acceptable. My daughter's teacher once decided to bring candy to the class for Easter. Since it was a last minute decision, the teacher didn't take the time to ask me which candy was safe for my daughter who is allergic to peanuts. She gave the candy to all the children, including my daughter who tried to refuse it. When my daughter wouldn't eat the candy, she was told she could eat a leftover part of her sandwich from her lunchbox while her classmates enjoyed the candy. My daughter was six years old. When adults exclude the child with food allergies, they are modeling exclusion for everyone. They are sending a message to all the kids that it is okay to exclude the allergic child, and a message to the allergic child that they are not worth including. Many kids with food allergies are bullied at school because of this social stigma.4 Allergic children deserve to feel safe and that their well-being is important to the adults in charge. They deserve to have their basic needs for safety and inclusion met. Take a moment to look at this diagram. If it looks familiar, that is probably because it is based on Abraham Maslow's Hierarchy of Needs 5. Notice that the need to belong is part of the base of the pyramid. We are all social beings, and belonging is a basic, human need. The power of that need is probably greatest in adolescence 6, and that is reflected in the fact that teens are at a greater risk of dying from their food allergies than younger children. Years of social stigma take their toll, and teens may place a higher priority on inclusion than safety. And in the school context, when kids' basic needs are not being met, their ability to learn is compromised. If we can bring awareness to these very human reactions, we can choose to respond differently. We can choose to include kids with food allergies. This is going to require effort because accommodating food allergies means conscientiously checking ingredient labels and carefully cleaning cooking utensils and surfaces. It means talking to the child's parents to find out what is safe. It means accepting that those parents may not feel comfortable trusting their child's life to home baked cupcakes, and choosing to center a party around non-food activities instead. It means remembering that families with food allergies live with those inconveniences every day. Most kids take being included for granted. Imagine what it means to a child with food allergies. 1. Stevens JR, Gilby IC. A conceptual framework for nonkin food sharing: timing and currency of benefits. Animal Behavior. 2004;67:603-614. 2. Fehr E, Fischbacher U, Gächter S. Strong reciprocity, human cooperation and the enforcement of social norms. Human Nature. 2002;13:1-25. 5. Maslow AH. A theory of human motivation. Psychological Review. 1943;50:370-396. 6. Resnick ES, Pieretti MM, Maloney J, Noone S, Muñoz-Furlong A, Sicherer S. Development of a questionnaire to measure quality of life in adolescents with food allergy: the FAQL-teen. Annals of Allergy, Asthma & Immunology. 2010;105(5):364-368. Catharine Alvarez, PhD studied applied mathematics at the University of California, Berkeley. She is currently home schooling her two children while independently studying psychology and game theory. 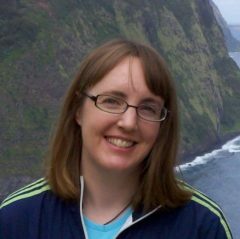 She writes about education, food allergies, advocacy, and mathematics, and moderates online interest groups for food allergies and math education.